Cushion grip body. Six position speed dial. Spindle lock button. Fitted with a quick change collet nut system. Ideal for a wide range of smaller DIY and craft jobs as an alternative to larger power tools. Supplied in a fitted aluminium case. Weight: 640g. Flexible rubber drive shaft: For use where maximum flexibility is required, to improve access in confined spaces. Bench clamp and tool steady. 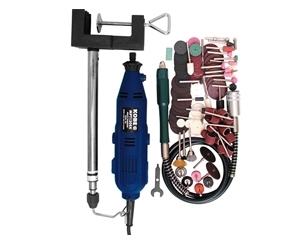 118 Piece Accessory Kit Includes: various collets, cutters, drills, abrasives, brushes, burrs, wheels, discs and mandrels. hold the multi tool in place when using the flexible drive shaft. - Six position speed dial. - Fitted with a quick change collet nut system. 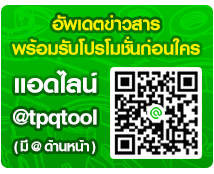 - Ideal for a wide range of smaller DIY and craft jobs as an alternative to larger power tools. - Flexible rubber drive shaft for use where maximum flexibility is required to improve access in confined spaces. - 118 piece accessory kit includes: various collets, cutters, drills, abrasives, brushes, burrs, wheels, discs and mandrels. - Bench clamp and tool steady: to fix tool steady to a work bench or table to hold the multi-tool in place when using the flexible drive shaft.